We’re excited to release our six-week Love God Greatly Psalm 119 Study Journal! You’ll receive our easy to follow reading plan, weekly reflection questions, prayer & praise section, as well as plenty of room to journal your daily, personal SOAP reflections as you dive deeper into God’s Word! These beautiful, journals even include a recipe for you to try with your friends from one of the many countries Love God Greatly serves! The greatness of God’s Word is the theme of Psalm 119. Woven throughout this longest chapter of the Bible are beautiful character qualities of Scripture, reminding us that God’s Word is sufficient, truthful, pure, authoritative, and unchanging. But when we look beyond the words on the page to the living Word – God himself – we see how his character is reflected in this chapter as well. 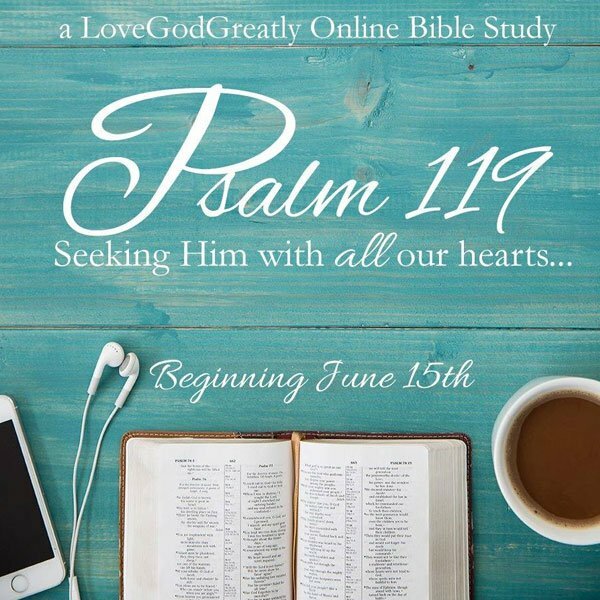 The Psalm 119 online Bible study gives us a glimpse into the beauty, importance, and usefulness of Scripture, prompting us to walk away more in love with God and his Word, more aware of our sin, and more in awe of our great Savior and his sacrifice on our behalf. Where do you run when life gets hard?